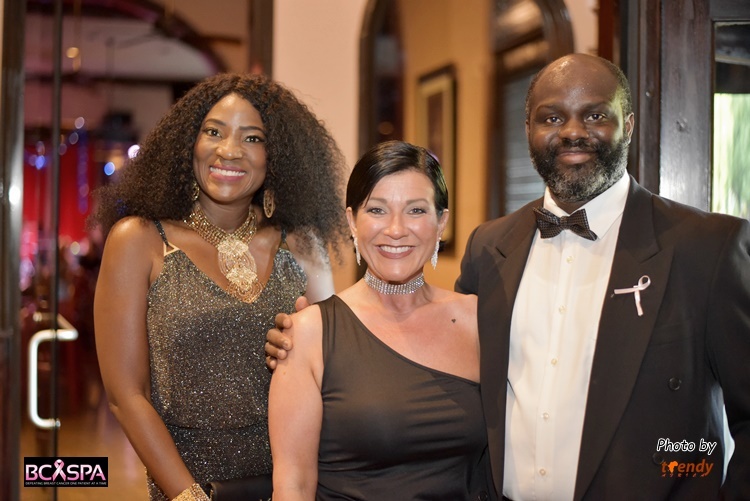 “My life literally came to a screeching halt just as the oncologist told me that I had an advanced form of cancer” That was the touching expression of a breast cancer survivor, Kay Schlueter as she told her story to guests and supporters at the annual charity dinner of BCASPA; Breast Cancer Awareness and Screening program in Africa. The event which held at the upscale Arthur’s restaurant in Addison Texas, attracted quite a number of respectable professionals who committed at least $200 for dinner with a choice of grilled Norwegian salmon, chicken breast piccata and 8 0z. filet mignon. 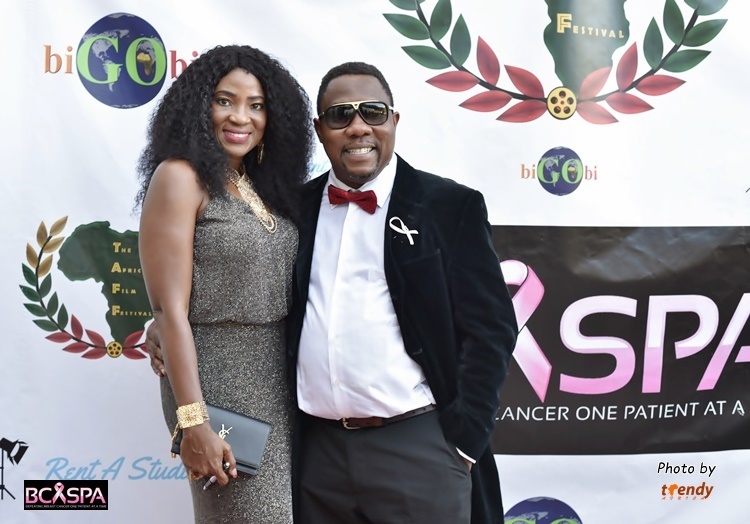 Chief host and founder of BCASPA, Dr. Adebola Olatunji, explained that the breast cancer initiative is a part of AVODA (Aid for Victims of Diseases in Africa), a registered charity organization in Texas and Nigeria. He went further to state that breast cancer and cervical cancer have been identified as the leading causes of cancer deaths in women. Many of these deaths can however be prevented if the cancers were detected early enough through screening. Olatunji has identified that lack of awareness, poor socio-economic conditions and lack of availability of a comprehensive screening program as primary contributory factors to the late presentation of the disease. BCASPA project aims at targeting women who fall within the ‘at risk’ population (35-75 years), provide breast cancer awareness through social media, radio and TV campaigns while offering FREE screenings to over 1000 women in Africa. AVODA has been successful in negotiating a discounted price for the screening mammogram at several facilities in West Africa. Guest speaker, Adedayo Onitilo, MD PhD MSCR FACP, presented a very detailed outline of the anatomy, myths, symptoms and preventive steps for breast cancer. 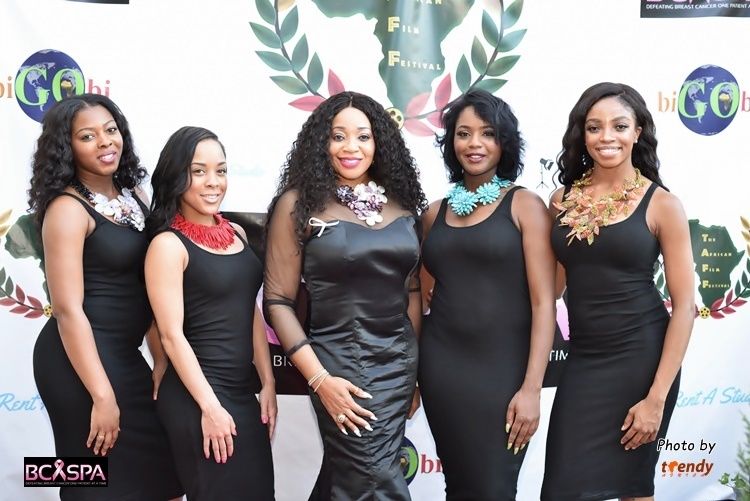 Other special guests inclued the founder of the African Film Festival, Kelechi Eke, celebrity comedians Wamilele and Seyi Brown, and a special presentation of jewelries from the stable of TAKAI by Angela who also benefited BCASPA. Pls how can I get in touch? My elder sister has breast cancer and she had been exploring alternative treatment options and it seems to be getting worst.